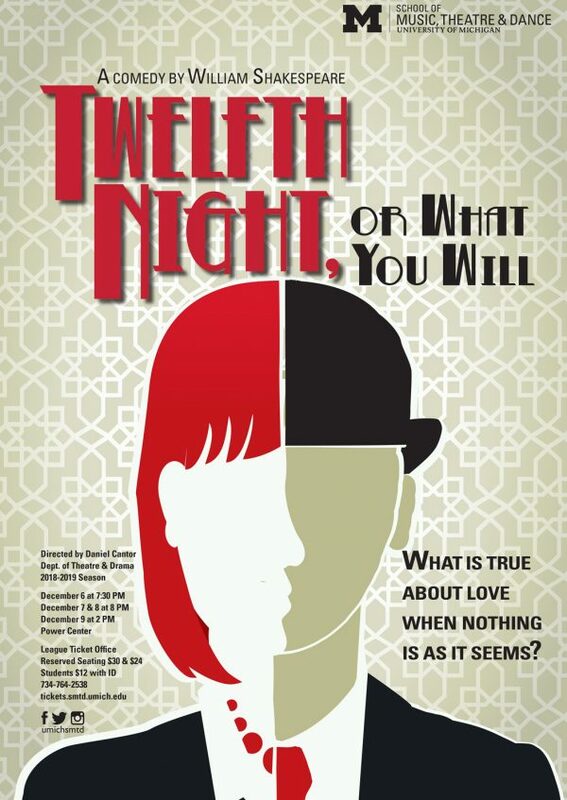 Shakespeare’s timeless romantic comedy, Twelfth Night follows separated twins Sebastian and Viola. Finding herself shipwrecked off Illyria and believing her brother dead, Viola disguises herself as a man and enters the service of Duke Orsino. The Duke believes himself in love with Olivia, but Olivia is swiftly falling for the disguised Viola. In the meantime, Viola is developing feelings for the Duke. When Sebastian (who is not dead) arrives in Illyria, confusion reigns supreme. Unrequited love and mistaken identities abound as the foursome journey towards a joyous discovery. Twelfth Night, written around 1601, is one of Shakespeare’s richest plays. The show takes its title from the revelry following the twelfth day of Christmas, bringing together romance and music in a tale full of folly (it is also the day the first production was performed). One of the most “modern” of Shakespeare’s plays, the comedy’s themes about the fickleness of love, the arbitrary nature of relationships, and the re-thinking of sexuality all conspire with brilliant verse to push boundaries and look at the world upside down. Twelfth Night explores not only the nature of desire, but how perception is clouded by desire, and in turn, explores the very nature of perception itself. What is the disguise and what is the truth, is never absolutely certain, and often in the eye of the beholder (hence the play’s subtitle, What You Will). As Feste, the play’s clown says, “that which is so is not so.” The production puts a twentieth-century twist on the story, framing the action in a world inflected by the delightful sites and sounds of the 1930s. *Twelfth Night runs approximately three hours including one intermission.